We offer you a wide variety of choice, healthy and delicious Sri lankan foods. Here, we provide the best service quality and ‘care’ in every detail as our goal is to have you leave us only with joy and satisfaction. 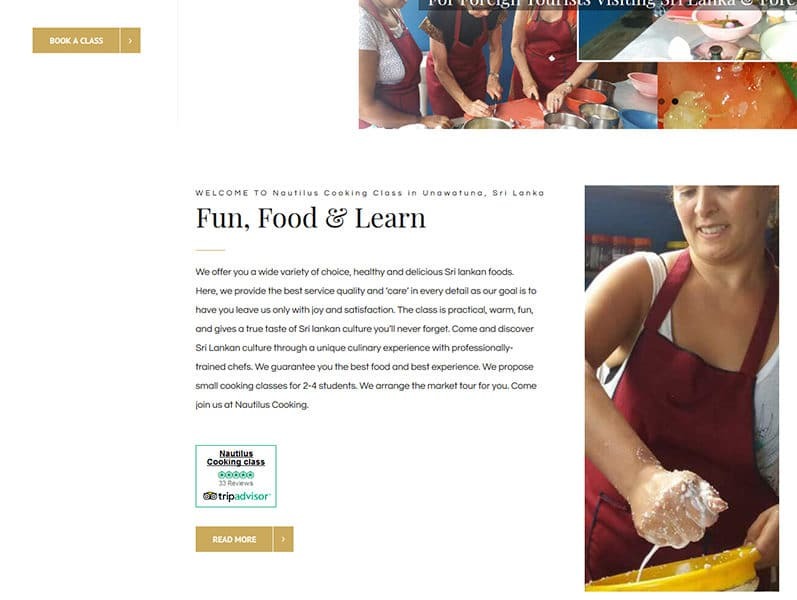 The class is practical, warm, fun, and gives a true taste of Sri lankan culture you’ll never forget. Come and discover Sri Lankan culture through a unique culinary experience with professionally-trained chefs. We guarantee you the best food and best experience. We propose small cooking classes for 2-4 students. We arrange the market tour for you. Come join us at Nautilus Cooking.